River Victoria‘s elegant decor was thoughtfully designed to provide our guests with all the comforts of home during a grand tour of Russia’s imperial cities and timeless landscapes. From Moscow to St. Petersburg, travel in style and comfort as you follow in the footsteps of Peter the Great down the Volga, Neva, and Svir rivers, Russias most legendary and scenic waterways. Beautifully appointed riverview staterooms and suites have hotel-style beds draped in fine linens and European duvets. 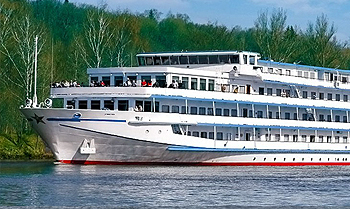 Staterooms (Categories 1 – 3) and suites on the Neva and Volga Decks have full private balconies. Other amenities include individual climate-control thermostat, telephone, infotainment center with flat-screen TV and complimentary movie and entertainment options, bottled water, and a safe. Bathrooms feature L Occitane en Provence bath and body products and comfy bathrobes. Presidential Suites include Nespresso coffee machine and fine teas, cookies and snack service, and sun beds on a private balcony.